Master’s degree in health communications, public health management, social sciences, international development, or a related field with A minimum of 5 years’ experience of; Leadership and management of relevant projects; Knowledge and experience in health education and behavioral change communication; Experience in developing and implementing a behavioral change communication strategy, focusing on creating demand for community and facility-based health services; Experience in designing and implementing at least two health projects that include a strong behavior change 2 communication component and Experience in developing behavioral change communication tools and materials. SBBC Officer will work with Local Government authorities, Civil Society Organization (CSOs) and Community based implementing partners and Community Health Workers (CHWs) to implement SBCC strategies in line with the USAID Tulonge Afya project strategic plan and training materials that promote sustainable health seeking behaviours for the project, USAID Tulonge Afya. The incumbent will assist the implementation of SBCC interventions at regional and district level in order to improve positive health seeking practices through innovative SBCC strategies that sustainably bring about positive behaviour change. As the position is a secondment, the incumbent has dotted line reporting relations to Senior Program Manager – Grants (T-MARC). Bachelor degree in health communications, sociology, public health, social sciences, international development, or a related field with A minimum of 2 years’ experience in; coordination and management of similar projects; Public health education and behavioral change communication; Proven experience in implementing behavioral change communication projects, focusing on creating demand for community and facility-based health services and Proven experience in implementing at least two health projects that include a strong behavior change communication component. Broad Function: The position will support the capacity strengthening portfolio of work by implementing strategies, and direct provision of technical assistance for the Tulonge Afya Project in technical areas including; social and behavior change communication (SBCC), organizational development, and a variety of health issues such as HIV, family planning and reproductive health (FP/RH), malaria, Maternal Newborn and Child Health (MNCH), and Tuberculosis (TB). The position will support capacity strengthening efforts assisting partners in strengthening the coordination and implementation efforts at national, regional, local levels. 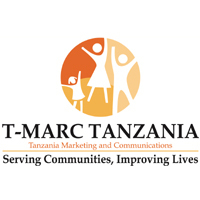 This position is secondment, with dotted line reporting line to Senior Program Manager – Grants (T-MARC). Bachelor Degree in Social Science, communication, development or any related field with a minimum of 3 years’ relevant experience in; Partnering with local partners and providing 3 direct operations support to local organizations; Program management and report writing and Workshops logistical arrangement. The position requires interpersonal skills and ability to work effectively as part of a multidisciplinary team, including people of diverse backgrounds and cultures. Broad Function: The position is responsible for the administration of Grant Management Policy by maintaining financial, accounting and grant support services in order to meet the needs of the organization and the donor. This position is responsible for preparing financial statements, maintaining cash controls, providing financial reporting and analysis in support of the USAID Tulonge Afya project. This position is also responsible for the operations of post-award grant administration and related accounting duties. Working closely with the Finance and Administration, Finance Director (FHI360) and Senior Program Manager – Grant, the incumbent will focus heavily on budgeting, compliance, reporting and variance analysis functions. This will accurately account for project costs, thoroughly analyze variances to budget and clearly communicate these results to management. Bachelor Degree in Accounting or closely related field plus 3-5 years of relevant, progressively responsible experience, preferably in the non-profit community (USAID, CDC etc), with experience in budgeting, forecasting and financial reporting. Ability to effectively communicate financial information to non-financial managers. Ability to analyze, evaluate and summarize financial records for accuracy and conformance to procedures, rules and regulations. Familiar with accounting fundamentals. Strong analytical, presentation, communication and problem-solving skills and Knowledge of federal grants and regulations. Deadline for submission is September, 18, 2017. Only short-listed applicants will be contacted. T-MARC is proud to be an EEO/AA employer M/F/D/V.